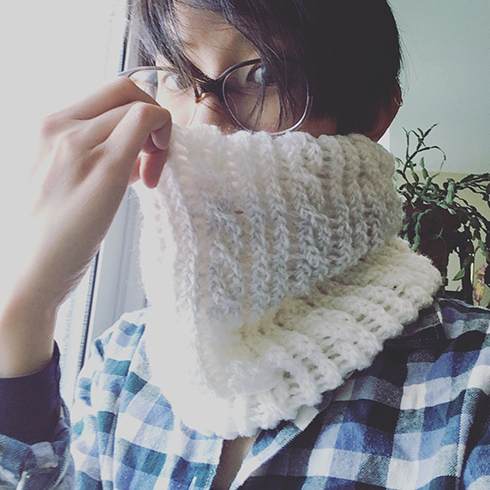 I had a vision of this cowl when I saw the yarn, which was Loops & Threads Barcelona in Arctic, and I bought it because it was on massive sale. It is a very fluffy yarn and with the colours it reminds me of clouds. 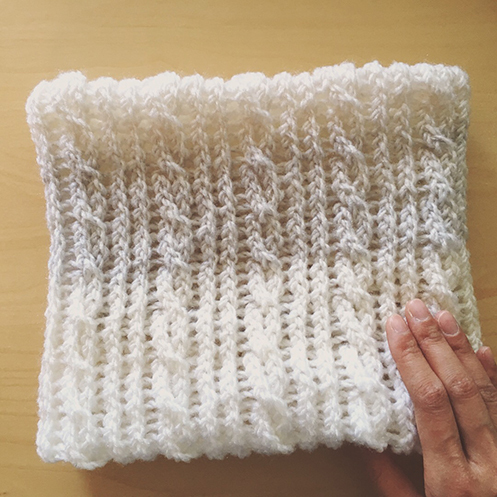 I wanted to create a subtle cable texture where the cables may not be super noticeable at first glance, and the crossing of the stitches are a bit hidden, like clouds, which are easily taken for granted unless we take time to stop and notice their forms and shapes, and twists and turns. It is a loom knitting pattern, and if you’re new to it now worries! I include links to video tutorials for different techniques. Loom knitting itself is quite easy, so a beginner would be able to follow this pattern. Half a skein of Loops & Threads Barcelona — about 150 yards. Mark the pegs with elastic bands or stitch markers. Mark the first two pegs, *skip two pegs, mark the next two*, repeat from * to * around until there are 3 pegs left. E‐wrap cast on all the pegs around the loom. E‐wrap every round until piece is 2″ in length. Repeat the last 4 rounds until piece is 16″ in length. E‐wrap until the piece is 18″ in length, don’t fasten off. Place the cast on loops back on the pegs, careful in matching the loops to the pegs (i.e. the first loop of the round in the first peg, second loop on the second peg, and so on). Bind off loosely, treating the bottom two loops as one. Fasten off and weave in ends. 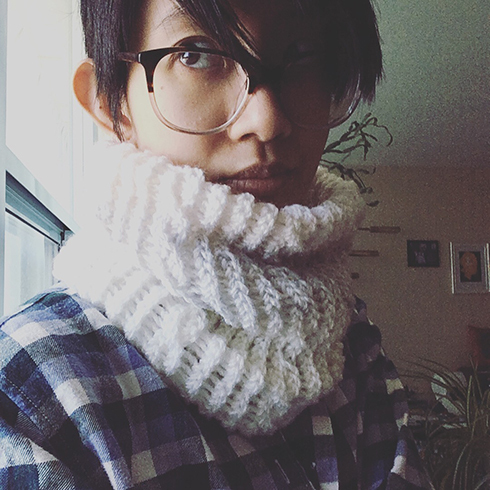 Move the seam towards the middle of the cowl, and enjoy the fluffiness! Ce col est vraiment très beau. Avant de lire vos explications je pensais qu’il était tricoté aux aiguilles! Le point est magnifique. 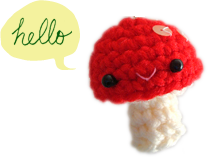 Bravo, c’est une belle réalisation et avec votre tuto il n’y a pas de raison pour ne pas essayer à mon tour (mais je suis loin d’être aussi habile que vous avec un crochet).Amitiés de France. Claudine.